What is the significance of Superman’s ability to function rhetorically as a model? Superman functions as a rhetorical model that affirms cultural cooperation in a dialogic relationship with American culture. The significance of Superman, as a rhetorical model, is the characters ability to both affirm and challenge, even shape, the perception of what America is or can be, as well as represent an identifiable, iconic symbol of what is best in American excellence. Evidence of Superman’s role as a model – throughout the major comic books periods –can be found in the ways that he has defined and helped redefined what American excellence, American identity, is about. Superman represents a concrete construction; a bringing together a multitude of abstract ideas and values that make up America. He has been a champion of the oppressed, Action Comics #1 (1938), and defend of American home front, as seen in Superman #23 and 29 (1943-44), and even tackled fears of radiation from atomic weapons, Superman #61 (1949), during what comics fans call the Golden Age (1938-50). In the Silver Age (1956-70) Superman took on foes from outer space, battled our fears of aliens and invasion, Action Comics #242 (1958) and #252 (1959). He faced his own evil twin (Bizzaro) in Action Comics #254 (1959), made tough choices when visiting is own doomed home world in Superman #141 (1960), and even fought his nemesis and anti-model Lex Luthor in a “fair” fight, Superman #163 (1963). In the Bronze Age (1970-85) and onward, Superman struggled to stay relevant as his powers and abilities became an inspiration and hindrance, “No More Kryptonite” storyline of Superman #233-8, 240-2 (1970-71). Questions were asked: “If Superman Didn’t Exist?” Action Comics #554 (1984) and speculation was made about a world after Superman: Whatever Happened to the Man of Tomorrow. The Modern Age (1985-2000) witnessed a continued struggle for relevance and more attempts to “depower” and reinvent Superman, John Byrne’s Man of Steel mini-series (1986). Superman became the poster boy for government stooge, Frank Miller’s The Dark Knight Returns (1986) and even had his identity uncovered by Lex Luthor, Superman (vol. 2) #2 (1987). In his struggle to stay relevant, Superman even died, Death of Superman event (1992), and in reflection, mourned, Funeral for a Friend (1992). Eventually, Superman was replaced and then returned, Reign of the Supermen (1993), got married (finally), in Superman: The Wedding Album (1996), and attempted to end world hunger, Superman: Peace on Earth (1998). Attempts were even made to imagine Superman on the wrong side of growing public debate, such as in Kingdom Come (1996), where he went into self-imposed exile for not killing but returned to face his own demons and more. The dark tone of Kingdom Come forecast questions of relevancy in Superman against the growing zeitgeist of late modern era. In Post-Modern Age (2001-Present), the challenges to Superman, as a model, have grown and a skewed in relationship to a growing divergence with the cultural zeitgeist and leanings with regards to superheroes. Superman: Red Son (2003) reimagined Superman as hero of the U.S.S.R. but even so, he remained a model of what was right and decent. In Superman: Birthright (2003-04) his origin and back story was revised for the 21st century, while All-Star Superman (2005-08) reimagined Superman in his idyllic mythos as savior. Finally, Superman Grounded (2010-11) again attempted to bring Superman closer to the people of Earth, to re-identify. Since it’s earliest founding, America has struggled to find a true social and literary identity. Superman has provided that identity for the past 75-years by functioning as a rhetorical model of what American ideals and values are and communicating them to the nation and the world abroad. So, as I begin to map out some things pertaining to Superman, I started looking for strong shifts and developments in his history, as well as pointed moments of development that showed him acting in some fashion as a rhetorical model. Superman is given birth, becomes an icon and helps navigate the context and struggle of America during times of growth and war. Superman’s focus, in wake of the Comic Book Code turned to more Sci-Fi adventures that took on fears of invasion, radiation, and the space race. In 1954, U.S.S.R. tested an atomic weapon. Superman is searching for relevancy as America is searching also for its identity following the 1960’s. More powers given to Superman, then his powers eventually are reduced. He is put on trial, becomes a celebrity, and the world is asked to wonder what and where would it be if he did not exist or died. American Historical Context: Leaving behind the Regan era, America hit recession and then entered a period economic prosperity before facing terror attacks upon entering the new millennium. Superman continues to shift in his evolution. Moving from Regan era and attempts to reboot him with fewer powers, rewriting his Silver Age past, Superman depictions run the gambit of him dying and returning to life, to depiction in alternate futures, and getting married. American Historical Context: 9/11, the War on Terror, wars in Iraq and Afghanistan, and changing paradigm of American culture in dark territory. Superman faces an attempt to continue to stay relevant in a world that has shifted to darker, grittier depictions of superheroes. Superman: Red Son (2003) – Elseworlds story that imagines Superman as champion of U.S.S.R. So, last time, in preparation for really digging in deep and making Prospectus 3.0 be “the one,” I attempted to simplify and streamline the 4 basic elements: Research Question, Research Claim, Research Evidence, and Research Warrant. Interestingly, a lot of this is like a bit of archeology, going over an area, picking at it, digging more, and then finally pulling something out, deciphering it, and then communicating it to others. If you don’t like that metaphor, then you can always fall back on the one I am using for my prospectus (which kind of ties in…it involves metaphysical “dirt”) of putting together and revising blueprints for constructing my “house” (dissertation). Either way, what we had from last time (the previous post: Revision of the Fundamentals: Question, Claim, Evidence and Warrant) has undertaken more revision. The idea of “identification” remains involved in the dissertation, but has become more of an inert or built in premise (unspoken to a degree) and the focus aim now attempts to level out a Research Question that can be more specifically answered. What is it about Superman that makes that particular character so culturally rich and interwoven with American culture that alterations and reinterpretations of him are met with major and dramatic reactions? Unfortunately, upon reflection, this turned out to be a bit TOO abstract. It became a tough one to really be able to prove in fact. What aspects of Superman allow the character to function rhetorically as a model? Now, we are reeling this in, tightening up the rhetorical focus that is what lies at the heart of this dissertation. In addition, we now have a question, which through research, can be made or attempted to be made answer to it. Through a rhetorical analysis of Superman’s 75-year evolution, we can see a significant dialogic relationship with American culture that has provided, and continues to provide, a symbolic language for cultural cooperation that continues to both affirm and sometimes challenge the shape of perception of the character and what he represents. Now, here, this turned out fairly well, but it remained clunky and a bit jumbled, not fully drawn out yet. So, with the new aspects of a new focused Research Question, there was a bit of making over to do here as well. Although he began as simple wish fulfillment, through a rhetorical analysis of Superman’s 75-year evolution, we can see a significant, dialogic relationship with American culture that allows Superman to function as a model of American excellence. This model sometimes challenges the shape of perception of the character and sometimes affirms it. As a model, Superman operates as a secular, iconic image that symbolically affirms cultural cooperation. Taking note here one can see that good bits and pieces of the previous claim were kept, moved, shifted, and repositioned to fit within this new focus and direction. Okay, so now that we have the question and the claim, where do we go to find the evidence, the proof to back up the claim in order to answer the question? By rhetorically examining the changes Superman underwent during the major periods of comic book superheroes – The Golden, Silver, Bronze, Modern, and, I would argue a new, Post-Modern – a pattern of evolution and adaptation emerges that reveals how Superman not only has operated to illustrate the presence desired by his writers and artists as part of the shift in the culture around him, but has been and continues to identifiably represent values that are at the core of what America desires to be and project to the world at large whether or not those “values” are what is known. Evidence of Superman as a model is where we have to go looking, to find that is the aim. The approach I am leaning towards is one that attempts to examine Superman throughout the preconceived “ages” of comic book history in the 20th – 21st centuries. So, I want to keep parts of the evidence above, but fine-tune it. There are two major things we need to prove or look for: 1) Superman as a model and 2) as inducing cultural cooperation in audiences. Perelman and Olbrechts-Tyteca envisioned it in The New Rhetoric the idea of the “model” as “In the realm of conduct, particular behavior may serve, not only to establish or illustrate a general rule, but also to incite to an action inspired by it” (362). What actions then does Superman inspire in others, via conduct or inspired action? Superman, throughout his history has operated on many different levels and many different functions, mediums, or applications (usually determined by those who wrote for and/or publishers of Superman, as well as the events of American society) of generating selected cooperation among American youth who have read Superman comics. The New Rhetoric goes on to say that “Persons or groups whose prestige confers added value on their acts may be used as models. The value attaching to the person, which is previously recognized, is the premise from which will be drawn the conclusion encouraging some particular behavior” (363). Superman has served to promote many things. At the tail end of the Great Depression, Superman offered an escape by depicting a hero who stood up for the common man against those who oppressed them, whether corrupt politician or businessman. In WWII, he told Americans to “Slap a Jap” and fought on the home front to fight off saboteurs and raise the morale for the men fighting abroad. Through constant transformations, re-launches, and adaptation, Superman has been shaped by many writers/artists/editors/publishers to assert American values and exceptionalism of what is right and good about humanity. This “exceptionalism” can and has been a double-edged sword for Superman though – hence Superman’s role as one who affirms and sometimes challenges the notions of these ideas. There is a passage in Neil Gaiman’s American Gods that quite aptly points to one of the challenges that has presented itself as Superman’s most challenging – his identity, what he is. The character of Mr. Wednesday makes the statement that “This is the only country [America] in the world…that worries about what it is…The rest of them [countries of the world] know what they are. No one ever needs to go searching for the heart of Norway. Or looks for the soul of Mozambique. They know what they are.” (116). Evidence of Superman’s role as a model – throughout the major comic books periods –can be found in the ways that he has defined and helped redefined what American excellence, identity is about. Superman represents a concrete construction; a bringing together a multitude of abstract ideas and values that make up America. Superman as a model both embodies and challenges the ideas of what America is while constantly providing a model for what it means to do the right thing, to fight for truth and justice, and when they are aligned, the American way as well. It is this essence of Superman that makes him identifiable and allows him to draw together, in cultural cooperation, the diversity and multiplicity that has created America. Okay, let us try on this cape, let us go out in the sun, and see if it flies. Now we have to ask the critical questions: So What? Who Cares? Why is it important that we attempt or even bother to answer the Research Question that we have posed? Superman is not merely an American cultural icon but has become a projection of what America aspires to be and projects that image to the world at large in an identifiable message. Superman is an American cultural icon who projects the very best of what America is all about to the world around us. Through studying Superman, we can reach a point of greater understanding about the history of America and the values, ideas, and ideals that have made America great. Okay now, wow, that was longer than I expected. Let us see where this one goes – down the rabbit hole…again. 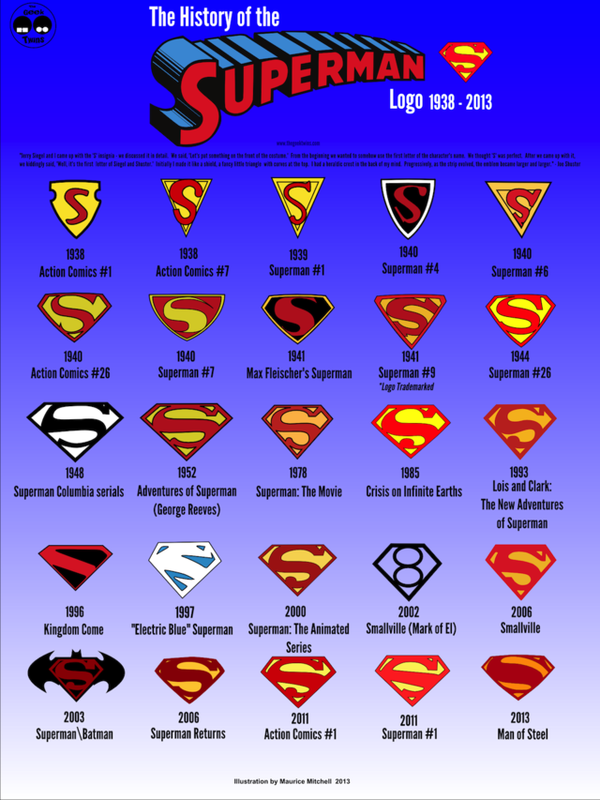 So, trying to figure out how to approach the history of Superman’s changes, I have started compiling an overview of those changes. This is my first go. In addition, I am working on looking at how in our “Post-Modern Age” the Superman we know is changing, again, and the changes are creating a rift between attempts to reinvent Superman and a Superman that modern audiences “identify” with. Birth of a hero from the imagination of Siegel and Schuster, sons of Jewish immigrants, brings to life a child’s escape fantasy and hero who works outside the law to stop those who would take advantage or persecute the weak. Reinvention of Superman evolves along storylines that attempt to modify and reinvent Superman’s essence, his powers, and redefine him in a new direction away from Silver Age conception. Some interpretations lead to notions of Superman as “boy scout” and government stooge. Let’s see how this one feels, I am liking how it is feeling.